It's entirely possible that smoked cheese was accidentally made for the first time thousands of years ago in a small house with a wood-burning fireplace. This fireplace kept the house warm and was also used to heat milk during the cheesemaking process. While the cheese was stored on shelves or in cupboards before being eaten, the continuous smoke from the fire gave the cheese a smoky flavor. Today, cheese is smoked on purpose, usually to affect the flavor of the cheese. But how, exactly, is cheese smoked? These days, many types of smoked cheeses are smoked in smokers rather than by a wide-open fire. The smokers waft the smoke over wheels of cheese as they age on racks. Some cheesemakers use small smokers. Others, like Rumiano Fine Natural Cheese, build walk-in smokers that accommodate more significant quantities of cheese. A block of cheese can be lightly smoked, so the finished product has a very subtle smokiness, or heavily smoked. The smokers used by most artisanal cheeses are fueled with natural wood. The type of wood used affects the flavor of the cheese. Apple, oak, hickory, chestnut and alder wood are frequently used. The Mozzarella Company smokes their mozzarella over pecan chips while Rogue Creamery uses hazelnut shells. Instead of smoking cheese, liquid smoke can also be used to give the cheese a smoked flavor. Liquid smoke often adds an overwhelming smokiness with few nuances of flavor, which is why most artisanal cheesemakers favor using real smoke. Smoking cheese imparts a unique flavor, especially when done by a gentle and experienced hand. Rather than overwhelming the flavor of the cheese so that it only tastes "smoky," smoking a cheese can add subtle nuances of meaty, earthy, toasty flavor. Smoking also helps preserve the cheese. 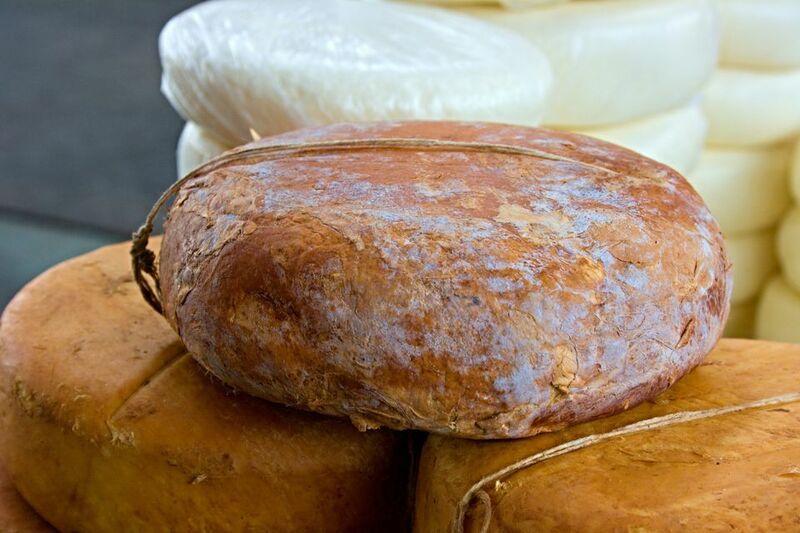 This was especially valued before any refrigeration was invented, but even today, cheesemakers might smoke a cheese because they like the way it preserves the cheese and affects the maturation process. Turkish Smoked Cheese, or "Füme Peyniri"